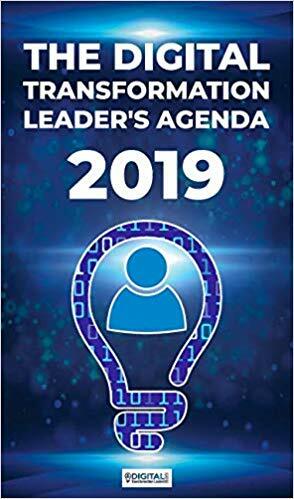 The Digital Transformation Leaders Agenda 2019 is an insightful and effective roadmap for the achiever. If you are an achiever, this personal and business achievement planner is what you need for a prosperous 2019. Strategic planning quarterly, monthly and weekly, daily overview, inspirational and motivational quotes throughout, and self-accountability with regular debriefing will help you turn your 2019 goals into reality soon. More than a planner, this agenda is a roadmap for your success. It takes into account the latest evolution in brain science to help you form new habits, develop a positive and stronger mindset, practice uplifting self-care routines, become more innovative and be in control, regardless of changes and disruptions in the digital world. You will be the disruptor and not the disrupted. The Digital Transformation Leaders Agenda 2019 is a roadmap for sustainable transformation and achieving personal and professional success. Free complementary support online on www.digitaltransformationleaders.com will motivate you to stay on track and achieve more.